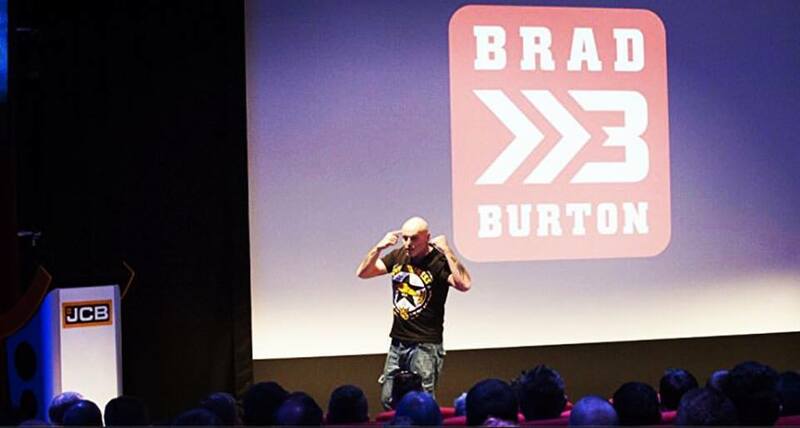 Brad Burton is the UKs No.1 motivation speaker. It’s a title he earned by simply putting it on his website, as after all, the first person you have to convince is always yourself. He has achieved a lot in business over the past few years. In fact, in February 2016 he retired from his most successful business, 4Networking, exactly 10 years to the day he started it. However, already bored of retirement, he’s back. Brought up in Salford, Manchester, he has a typically northern, working-class background and has no qualifications to his name. In his 43 years, he has spent four years on benefits, been addicted to drugs twice, and had a nervous breakdown. And he has worked in shops, delivered pizzas, as a doorman, and been a managing director. He has a wide mix of skills, and over the past 12 years, he’s built up businesses which make the most of these skills. A teacher once said that he’d never amount to anything. And 12 years ago, Brad would have agreed. But the turnaround since then, when his first son came along, is truly remarkable. Brad has helped many people to achieve things they never thought possible too. And he’s going to share with you how he’s achieved such monumental success in just 10 years, as well as enabling you to achieve the success YOU want. When Brad became a father, it was no longer just about him. He had to start looking medium- to long-term. So in 2004, a few days before Christmas, he walked out of his job despite being over £25,000 in debt. He went off to start his own business. He had spent 31 years listening to the advice of others which had prevented him from doing it before. But he decided to finally stop listening to the people saying he couldn’t do it (one of them was even his wife). Of course, things may not always work out, but you do always find a way to survive. When Brad set up his own marketing business shortly after, he was also delivering pizzas to make money and keep his business afloat. Once, he even ended up delivering a pizza to one of his clients. However, he wouldn’t be where he is today if he hadn’t done that. When you start a business, it is going to be uncomfortable at the start. So the decision you have to make before is whether you’re ready to switch out of the short term mentality of surviving until the next paycheque. You’ll likely be skint for a while, but the payday at the end will be greater and making it worthwhile. There will be things you’ll have to do which you don’t like in order to succeed as an entrepreneur. You have everything you need to start now. You just need to find the right recipe for the putting your ingredients (personal traits and life experiences) together. 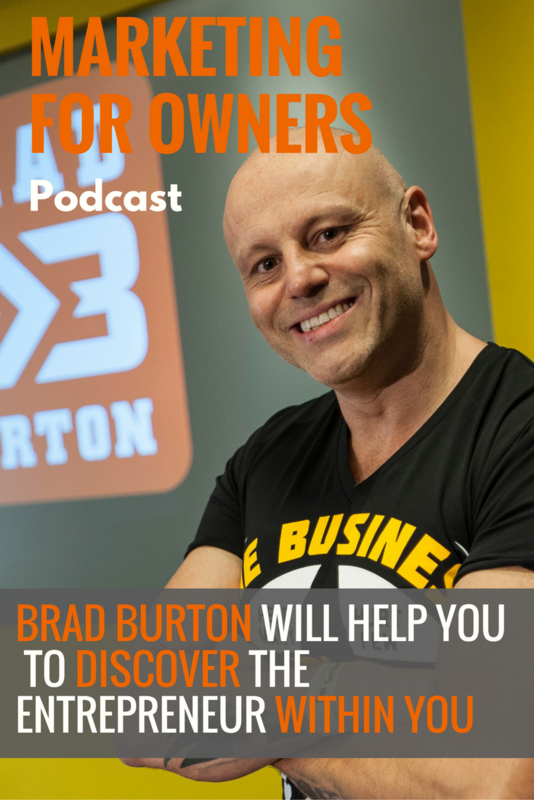 In Brad’s first business, he turned over £28,000 in his first year. And £36,000 in the first six months of the second year. But he then shut down his marketing business. He did this to focus fully on his 4Networking business which was just starting to take off. With a Plan B, you can never truly believe in Plan A. 4Networking, a company which provides networking to businesses in the UK, went from one meeting in the UK to now having over 5,000 a year. In order to succeed in business, you need to have a purpose when you start up, and that needs to be greater than simply making money. For Brad, it was the promise that he’d take his son to Disney World – something he knew he wouldn’t achieve by simply delivering pizzas. On the February 16th, 2016, exactly 10 years to the day since he started his 4Networking business, he stood down as managing director to retire. However, three months later he was bored. He’d achieved his dream of earning money without working, but it meant he felt like he had no purpose anymore. Brad first started up BradCamp four years ago, making it up as he went along. At his first one in Leeds, he had 19 people attend and at the end of the day, he realised that he’d only made £150. He’d gotten it wrong, but learned from those mistakes. Now he runs one or two a month, where he shares everything he had learned and put into action over the past 10 years. Be A Better Speaker is a day event which helps people to become better professional speakers, by getting over their nerves and finding their own voice. He does this by helping people to discover their story so they can share it. Brad still cannot believe that he gets booked by billion dollar brands to speak at their events. His second BradCamp was Build A Better Business. However, he has recently changed it to Now What? after recognising that what he was actually doing was helping people to build better lives. With the new events, they will be more about what to do next when you’ve achieved success. Many entrepreneurs always want to keep chasing more, but that hasn’t got to always be the case. You need to know why you’re doing things, rather than blindly always wanting more. That promise to take his son to Disney World was what really spurred Brad on to push through for the success. Otherwise, it’s impossible to sustain that sort of lifestyle. And Brad knows that better than many as that is what led to his breakdown. Entrepreneurs are not superhuman, and you need to look after yourself. It’s good to have a list of your priorities, and that is something which Brad teaches in his new Now What? seminars. He says you should imagine that you’re captain of your ship. However, there are two islands and you can only go to one. One is an island full of health and relationships. The other is wealth beyond your wildest dreams. Which one do you go full steam ahead towards? You need to realise what is important to you, and it’s good to ask yourself the question before it’s too late. Do you really want to be so busy you don’t have time to spend with your loved ones? Different people define success differently. But success isn’t owning jets, islands, cars and property. Success is happiness, not money. If you’re going to chase anything, make sure it’s happiness – whatever it is that makes you happy. And if you have money as well as being happy, then that’s great. Brad’s approach to life and business is unique. His life experiences mean that not only is he appreciative of everything he has achieved, but it has also helped him to realise that there’s more to success than money. He is the author of four books, with his latest also being titled Now What? This is a great book for anyone wanting to make the right decisions and to get motivated to make them happen, whether that’s in business or your own life. To find out more information about Brad’s other books and events, as well as to read his blogs posts, visit the Brad Burton website. If you’re after more information about his BradCamp seminars, then check out the website. And don’t forget to check out his business too. 4Networking is the UK’s largest joined up business network, which now runs over 5,000+ business networking meetings each year. Plus you can see some of the people Brad has helped in his seminars at his SpeakerSeeker website, and even hire them.